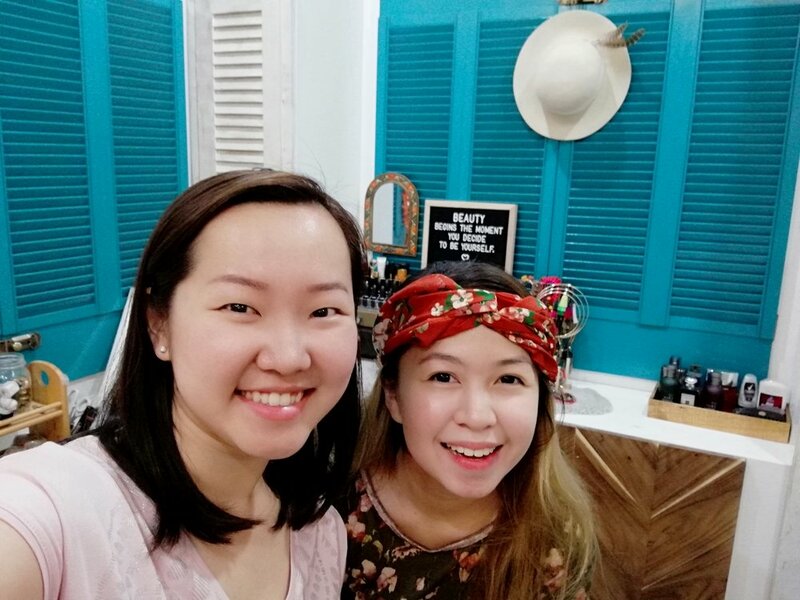 I’m so excited to share this project with all of you because I had the opportunity to declutter a bohemian’s closet, and also help organize other parts of her bedroom! Although I’m far from being a boho, I’ve always been drawn to bohemian aesthetics. I love its muted tones but with pop of bright colors, and its “more is more” approach yet still looking collected and effortless. That’s why I was so excited when my friend Jamie, who is a legit bohemian in style and at heart, asked me to help declutter her closet and bedroom. It’s my first time to visit her new home. This house is Jamie and her husband’s dream home. The house itself is beautiful and speaks so much of their character and style. But more than that, it has a wonderful story behind it. This is why I love one on one decluttering sessions, I get to hear amazing life stories and learn about their journey! Their bedroom happened to be my favorite among all the spaces in their home. I loved all the details that made it so bohemian! The iconic Moroccan rug and lamp, bright quilt layered upon neutral bedding, warm wood and the greek blue window shutters! Everything looked relaxing and breezy, except for certain areas of the bedroom which we tackled in this project. A common mistake when moving in to a new home is not being able to declutter BEFORE moving in. With Jamie’s case, her closet filled up very quickly when bags and bags of her clothes were brought in by her mom from their old home. Before she knew it, her clothing took up all of her closet space - densely stacked in each shelves of her closet. Most of the time, she can hardly find the clothes she wanted to wear! Jamie is a freelance stylist, lifestyle photographer, and a talented crafter, so she also wanted a space where she can be creative and do her craft. She already acquired her dream work desk, but wasn’t able to use it because it became a landing area for various clutter. When I asked what she wanted to accomplish after our decluttering session, she eagerly said that she wanted her workspace back! Married couples or any people who share a space with another could probably relate to this. There is someone who will be the “messier” one. Jamie’s husband, Derrick likes everything to be agile, especially with how he spends his time, and do with his stuff. This means he likes everything exposed and does not want to spend his time tidying up his stuff. However, this frustrated Jamie a bit, since her stuff get messed up with his. Applying the 3Ms of organizing, were were able to minimize Jamie’s clothing, maximize her deep closet and create a simple system to maintain it long term. As usual, we started by taking out all her clothing, shelves by shelves. We then sorted each into category as Jamie chose which ones to keep and which ones to let go. She did a great job by discarding 4 extra large garbage bags of clothes that no longer serves her! I was extremely proud of her when she decided to discard most of her scarves that she used to collect to make space for the things that give her more joy in the present. We maximized her deep closet by adding bins, hanging her bulky clothing items, and keeping out of season clothing in the back of the shelves. To help maintain her newly organized closet long term, we assigned a space for each category of clothing. Hanging space housed all her coats, vests, skirts and key clothing that get easily wrinkled. Bins contained undergarments. Shelves contained folded clothes arranged by category - by color, by type, by use. This way, Jamie has a clear idea of what and how much she owns. This also allowed her and her helper to know where to put back the clothes after laundry! When there’s no clear purpose and intention for a space, then it becomes a landing space for any stuff. Since Jamie wanted her own workspace, we cleared out all the clutter on her desk. She then enthusiastically decorated it with the items that inspire her to be creative and productive. With a beautiful work space like this, who would even attempt to mess it up? The key to living harmoniously with another person in the same space is having your own zones, and respecting each other’s spaces. I strongly believe in respecting one’s space and readiness when it comes to decluttering and organizing. So when I came to help Jamie declutter and organize their bedroom, I promised Derrick not to touch his stuff - except for those in the shared areas. 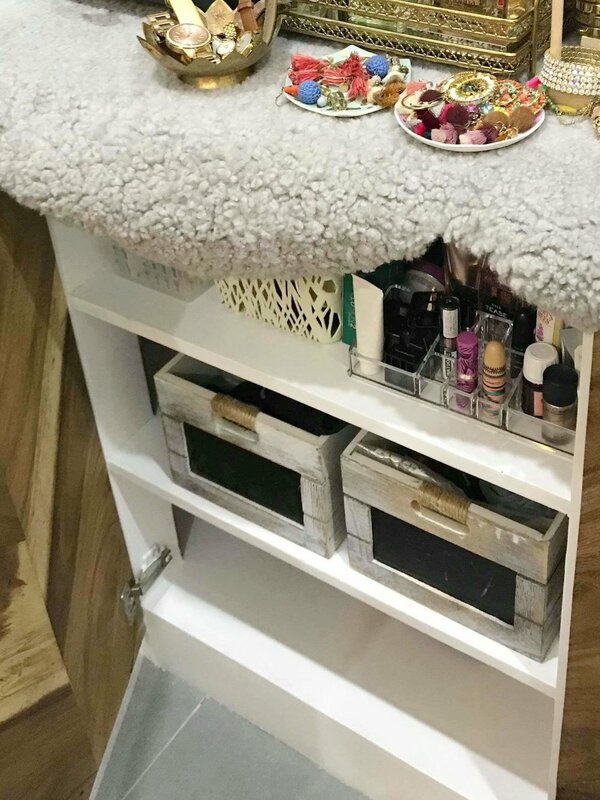 Since they share the same vanity table, we created a zone for Derrick’s so that their stuff will not get mixed up, and the space can be organized according to what works best for each of them. Another shared area we organized was their charging station. As Derrick desired, we had all chargers exposed and plugged in, but still assigning a space for everything so it’s easier to locate things and keep the space clean and tidy. Jamie (right) and myself (left) taking a selfie after a day’s work! After a full day, we finally finished decluttering and organizing Jamie’s bedroom. It was tiring, but definitely worth it to help Jamie create space for the things that make her joyful and live in the present. I’m also happy to see their bohemian sanctuary totally breathe inside out. I truly enjoyed this project and catching up with my dear friend! Now, let’s take a moment and indulge on these before and after photos! Where to Donate Your Stuff After Decluttering?